There is something intriguing and compelling about a girl who lights up a room. Is it her style? Is it her long flowing hair? Is it her flawless complexion? No. Those external qualities definitely capture an eye, but it’s something else that captivates a heart. She is quietly confident and has a way of listening and engaging with people that disarms and makes them to feel important. Some try to put a finger on what makes her so radiant. The fact is, radiance is magnetic and when a group of radiant young women come together, they can inspire hearts, and do remarkable and lovely things. The truth is, you were made to radiate. You are actually created, equipped and called to be the light. Through personal coaching with me, I help you step into the unique way God created you to shine. 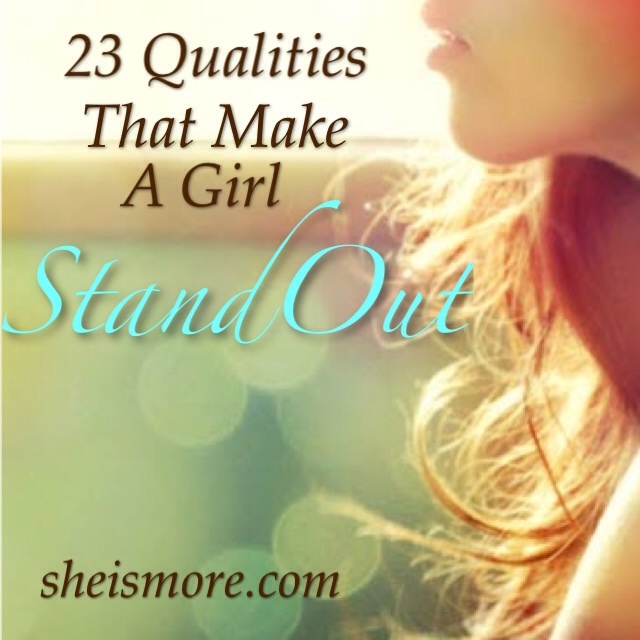 Here are 23 qualities that make a girl stand out. Her friends and family do not lack confidence or trust in her. She keeps her word and follows through on a commitment, no matter how small it may seem. She is a vessel of joy and kindness, like a healing medicine to the soul. People are excited when they see her coming and are sad to see her go because she brings life through her words and heart. She is not known for laziness; she works diligently. Even when the job seems less than ideal, she works with a cheerful heart and gratitude for the ability to work. This way, her happiness is not contingent on circumstances alone. She cares for herself by getting enough rest, nutritious foods, exercise, time in prayer and journaling. This enables her stay filled up so she can effectively care for others and pursue her dreams. She listens with tenderness and compassion when someone shares. She looks for ways to help someone and she does it. She treats everyone with the same love and respect, regardless of their social class. She spends a little, gives a little and saves a little. She blesses others because she has been blessed. She sees where profitable investments can be made and she saves her hard earned money for a rainy day. She is capable to live on her own, which gives her the freedom to choose the man with whom she wants to be in relationship without regard to provision. She recognizes that her God-given gifts and abilities should not be taken for granted, but are quite profitable. For this she continually gives thanks. She joyfully refines her gifts and uses them strategically to inspire goodness. Whether it be at the soup kitchen or something as simple as walking the neighbor’s dog to lighten their load, she knows that serving others makes the world go ’round. It blesses others, but blesses her even more. She always sees where she can help someone and never turns a blind eye. As His Princess, she is always aware that she could be impacting someone’s life. She holds herself to high standards for the way she dresses, speaks and behaves for the sake of God’s honor and for the sake of younger girls in need of a role-model. She does not allow temptations to have a foothold in her life. She knows that as His royal daughter, the words she speaks comes with great responsibility and impact, even to those she does not know are listening. She is mindful in speaking words of wisdom and guidance. Therefore, all who encounter her will be blessed because of her. Gossip, slander, idle talk and negativity are strangers to her lips. She is humble and wise in knowing that she will never know everything there is to know. She has a thirst for learning and growing, so she invites advice and sound counsel from solid mentors. This list is primarily based on the Proverbs 31:10-31 woman, the rest are supplemental wise words from the book of Proverbs. No woman is perfect and believe me, I am not all these things all the time. Only with the supernatural strength of the Holy Spirit coupled with intentionality can I muster up the confidence to rise higher and be radiant when I don’t feel like it. What would we look like if we purposefully drew on these qualities? Start with one per day, you could even write yourself reminders in your phone or post-its on your mirror to remind you of the woman you were are created and enabled to be. You were born to stand out. Are you ready to stand out with the radiance of your true identity? 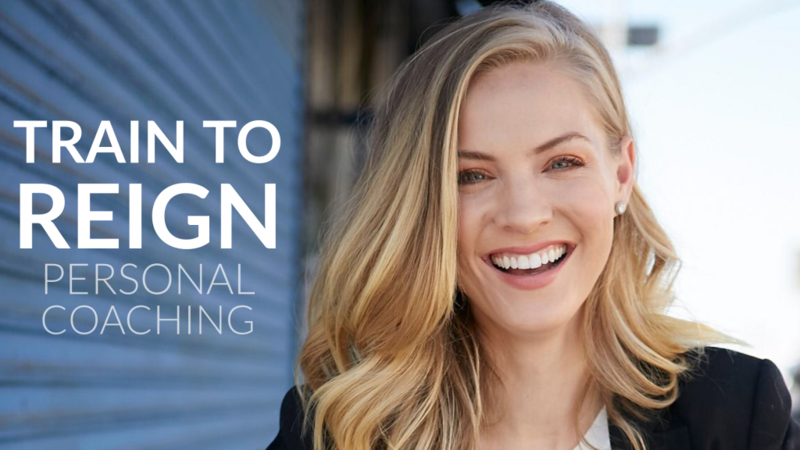 I will help take you to the next level with personal coaching! Your posts are inspiring. First list about a woman that doesn’t go by physical traits. I will bookmark this and share with others. Well done Kristen. I’ve enjoyed reading your page, inspiring and well put together. Some of them are useful and helpful for my clients. Definitely will share your wisdom and knowledge with them. As I read this, I saw so many traits I see in my daughter, it was like you were writing about her. We have be so blessed with a child who loves God with all her heart. She is 15 and in a local young girls leadership program. Tonight is a lock-in with about 50 girls. My daughter talk about many of points you wrote in this post. I especially love “Radiance is magnetic and when a group of radiant young women come together, they can inspire hearts, and do remarkable lovely things”. Just beautiful, thank you. There is one virtue that I feel is lacking in this article. It is compassion. When a young lady or girl shows an interest in those that are broken physically, crushed mentally, or lost spiritually (sometimes, it can be a combination of all these emotions at the same time); it generates compassion that God showed to us. And those that receive that compassion will look up to her. In confines of the relationship, compassion is needed once more. When she lacks compassion, she becomes selfish (this is why relationships fail). If the girl in the relationship has compassion, she will be willing to work through the negative sides of a relationship and a marriage. I love this post! This is my second time reading over the points and each one is helpful and thought-provoking. I want to be a girl that stands out for God… not for myself. When others look at me I want them to be able to see HIM. i adore your articles! i need more of this influence in my life. thank you. This is inspiring it hs had a great influence on my life i just love this articlei. Very true and inspiring article. Qualities every lady should have to glorify God in our day to day life. Hi Kristen, Extremely Super Inspiring Article. Just Love It. God Bless You! Thanks A Lot. I am a father of Five beautiful girls, ages from 9 – 17 years old. I am very inspired from the article. I know from deep within my heart that God has sent you my way to help me with the girls find their place in God. I am very grateful and thanks a lot. God bless.